Inventor and entrepreneur Raymond Furgason came up with the idea for the Carbage Can as a way for drivers to keep their vehicle tidy while on the road. The invention itself is a unique twist on the same old trash can that human beings have been using to get rid of waste for generations. It keeps your litter in the bin while your car is in motion. 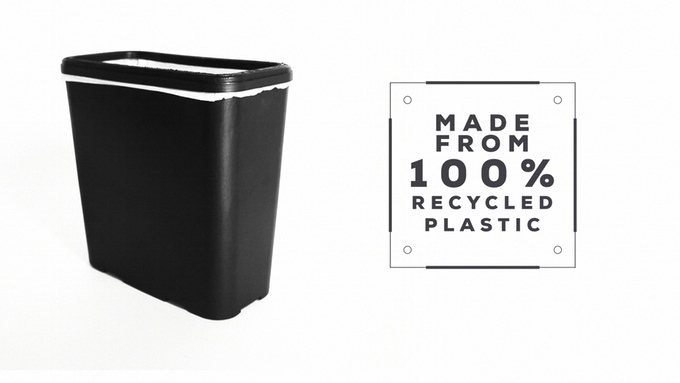 When Furgason came up with the idea and decided to launch a crowdfunding campaign via KickStarter, he was pleasantly surprised to learn that the Carbage Can had reached 22% of its fundraising goal in the first 48 hours. Furgason was even more pleasantly surprised when producers for reality television mogul Mark Burnett's new show contacted him about featuring his invention on a new show called Funderdome just hours after the launch of Furgason's campaign. The series is set to air 13 episodes later this year on ABC. It features comedian and television host Steve Harvey providing seed funding to hungry entrepreneurs like Furgason in order to help entrepreneurs realize their dream. The live studio audience gets to choose which inventions get funded. Furgason initially thought he was being pranked when he received a phone call from the show. "I couldn't believe it! I was absolutely blown away and overcome with emotion! I'm a huge fan of the show Shark Tank and to know that the same producers would take an interest in my dream is beyond anything I could have hoped for. I'm nervous to be on the show but definitely super excited for the opportunity!" The Carbage Can itself uses a unique clipping system to make sure the can stays upright even when the driver makes sharp turns or stops abruptly. It's lightweight and compact which means it doesn't compromise legroom and it can be installed in any part of the interior of a vehicle. A bezel over the top of the can keeps bags in place and ensures a tidy drive. Both the simplicity and practicality of the invention has helped Furgason gain more publicity for the Carbage Can than he ever thought possible. It will also allow drivers who eat and drink in their car to keep clean and stay organized, something that's really hard to do in such a tight space but quite necessary for most people who are too busy trying to get from A to B to have to clean up a big mess on the go. While the Carbage Can's inventor awaits the opportunity to impress a live audience and Steve Harvey with his latest creation, he hopes to keep the momentum going for another four weeks now that his crowdfunding campaign is in full swing.